We eat a lot of yogurt in this house- especially plain yogurt or honey yogurt. All that fruit on the bottom stuff is OK sometimes, but I'd rather add my own fresh fruit to a bowl of yogurt than eat the over-sweet, mushy stuff that's so often found at the bottom of a fruit yogurt cup. My son has always loved yogurt too, and even as a baby would eat it plain, no sweetener required. Once he was taken off dairy, we experimented with soy yogurt, but after a while he began rejecting it. For a long time, he went without. 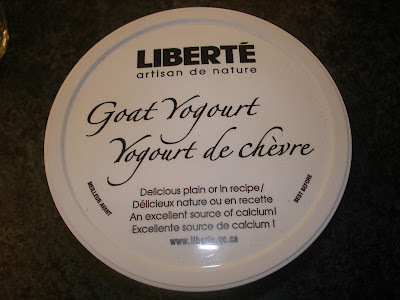 Then, I discovered Liberté Goat Yogourt. The company is based in Quebec, Canada, and make a wide range of products. 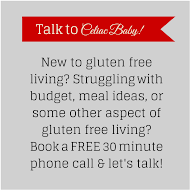 Click on the link above to learn more. So far, I've only found it in plain, but that's ok by me. The goat's milk we buy is from the same company, so I knew the quality would be good. It's 2.7% Milk Fat, which is actually good for a child my son's age. 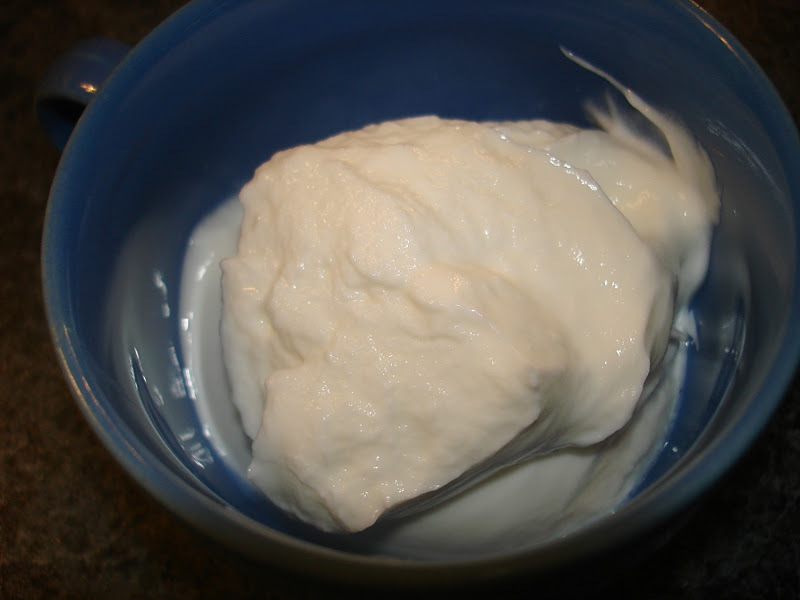 The consistency is nice and thick, almost like a Greek-style yogurt, so it would make a perfect substitute in recipes for sour cream. 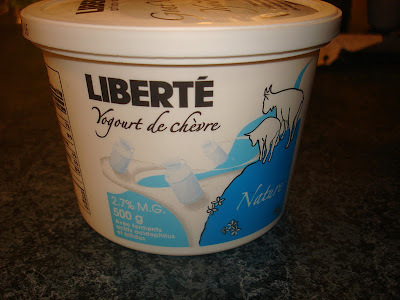 Unlike some yogurts that are runny, this product has a nice texture. I like to use it in smoothies to thicken them up. 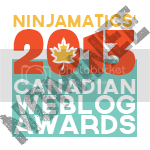 The flavour is comparable to a regular yogurt, with just a bit more tang. My son loves it and will eat it plain. I like to add some dried cranberries, some chopped nuts and a drizzle of honey. MMMM! This is a product that I would recommend to anyone. It makes a nice change from regular yogurt, and has a great flavour and consistency. Most important, it's another product my son no longer has to miss out on! Putting Up the Christmas Tree! Why is Every Late Night at Work a Thursday? Countdown To Christmas Is On!